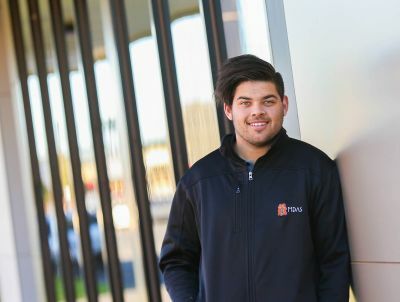 John Egan is a proud Yorta Yorta and Wemba Wemba man, originally from Shepparton, Victoria. In 2006, he started work as a security guard with the Victorian Aboriginal Health Service (VAHS). Twelve years later, and with training under his belt, he’s acting manager of the organisation’s Family Counselling Service. 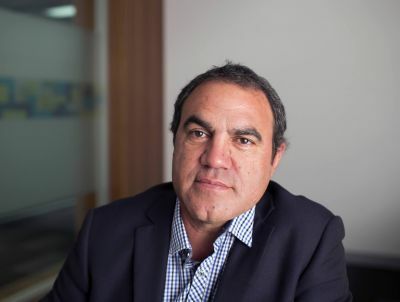 He’s also a sitting member of the Royal Australian and New Zealand College of Psychiatrists – Aboriginal and Torres Strait Islander Mental Health Committee. At VAHS, John co-facilitates men’s groups with Aboriginal psychologist, Graham Gee. The men are invited to talk about who they are and what’s going on for them, as a means of processing their day-to-day issues. For the past couple of years, John has also been running camps for Aboriginal men from metropolitan Melbourne. 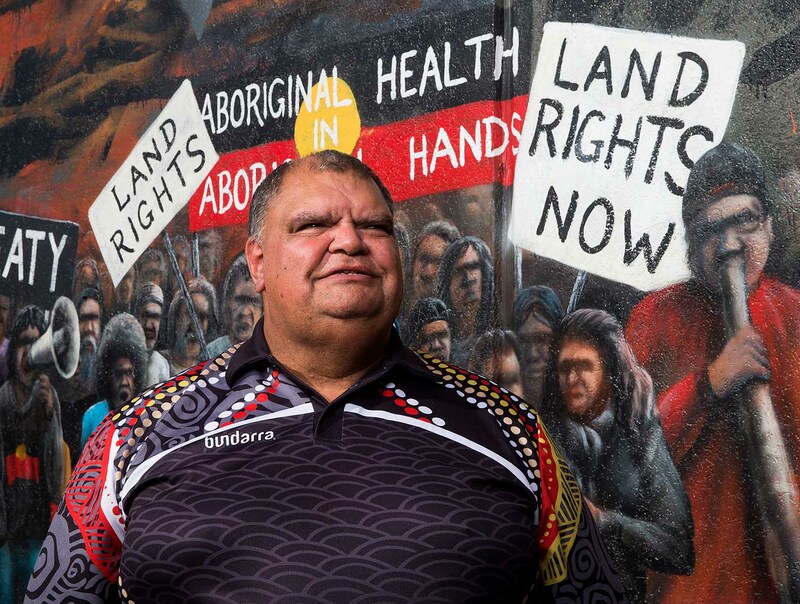 A collaboration between several Aboriginal health cooperatives, the Victorian Government and cohealth, a community health service, the camps focus on health, wellbeing, and men supporting men. In coming together and sharing their stories and life experiences – and listening to the advice of professionals such as a nutritionist and a sexual health worker – John says they find an opportunity to heal. The most recent camp was on Phillip Island. One of the speakers was Lewis Brown, a young Aboriginal worker from #beAware, a VAHS gambling harm prevention project funded by the Victorian Responsible Gambling Foundation. Lewis's talk about gambling harm ran over time because of the number of questions from the men. A mechanic by trade, John worked for 15 years as a driver with Rumbalara Aboriginal Health Service in Shepparton. He loved it, working with people and community, driving clients down to Melbourne for healthcare appointments. The two hours there and back always flew by because of the long chats he’d have with his passengers. ‘People would come from the country to Melbourne to use the service, and I used to catch up with folk I hadn't seen in years. Then I started working in mental health services and that was a different thing all together. With physical health, you can see what's wrong with people, but with mental health, you sometimes can't see the anxiety and depression, psychosis. But you need to start to ask yourself: Where does all that stem from, all that pain and trauma? 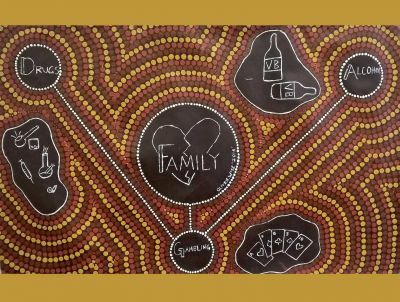 ‘In our community, a lot of the trauma comes from having been taken, being part of the Stolen Generation, and part of growing up in poverty or difficult circumstances. When I was a kid, we used to move around a lot, and I thought it was because of work – and it was, in part. But it was also as a protective factor against being taken, having the kids taken away. ‘I didn't realise that my father had been through the trauma he had, until I read about it in a book that my uncle wrote last year. That's how it is with lots of Aboriginal men, they don't or can't talk about it. Same as my brother … he had a difficult time with drugs and all that was because of the trauma he'd experienced as a kid growing up. VAHS is the second-oldest Aboriginal health service in Australia. It has been funded to deliver a gambling support service since 2006, making it the oldest Aboriginal gambling service in the country. VAHS sees almost 300 gambling clients a year and the program is embedded into its broader health service. John says the concept of health in Aboriginal communities is closely linked to the concept of connection and family. VAHS offers financial wellbeing services and counselling in Preston and Fitzroy. You can contact VAHS Preston on (03) 9403 3300 and VAHS Fitzroy on (03) 9419 3000. For urgent support for gambling harm, call Gambler’s Help on 1800 858 858 (24 hours a day, seven days a week). John Elder was senior writer with The Sunday Age for more than 21 years. He is currently writing books about the meaning of the meaning of life. Why are we not talking about gambling?